Compensation was provided by O-Cedar via Mode Media. All opinions are my own. Confession time: I’m not exactly a domestic diva. While I CAN clean when it’s necessary, anything that makes it quick and easy to get rid of messes is pretty much on the top of my list of most awesome inventions ever. You see, for me cleaning usually happens on a somewhat predictable schedule…like when I get a call that my mother-in-law will be over in twenty minutes. And in those times I need a cleaning tool that can really deliver. 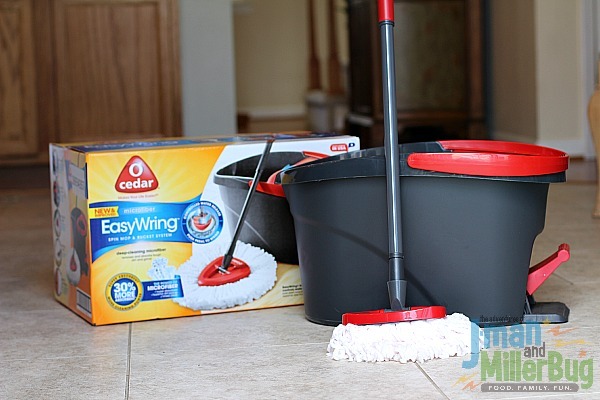 Recently, as I hurriedly prepared for such a visit, I discovered that the O-Cedar EasyWring Spin Mop & Bucket System makes it simple to clean many of the floors in my home. 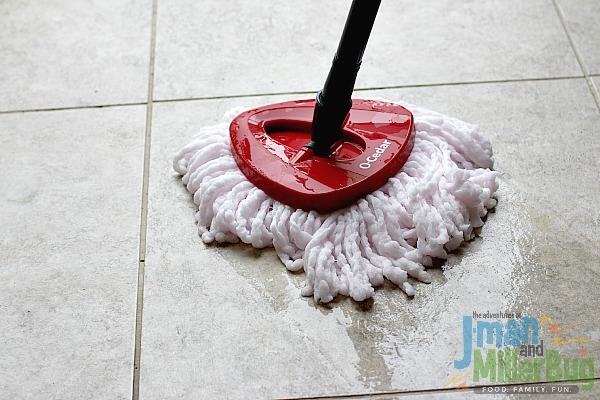 From the tile in the kitchen and bathrooms to the wood in the living room, having one easy to use mop that can tackle any mess ensures I can be effective in my cleaning no matter how quickly it needs to happen. Now, I know you’re thinking mopping is mopping but after my experience with my new best friend (AKA Cindi O-Cedar) I’m here to tell you that, well, you’re wrong! Because where in the past mopping has been a messy hassle for me, it’s now – dare I say it – enjoyable! So what is it that sets this mop apart and puts it in a class of it’s own? Well, to fully explain I have to tell you first what I dislike about mopping. In general, when I go to mop I can be sure I’m going to slush dirty water all over the floor, need to change out my bucket at least three times and end up with a soppy wet mop that takes days to dry to a dingy brown that I totally don’t want to use on my floors again. Is this sounding like your own mopping experience? 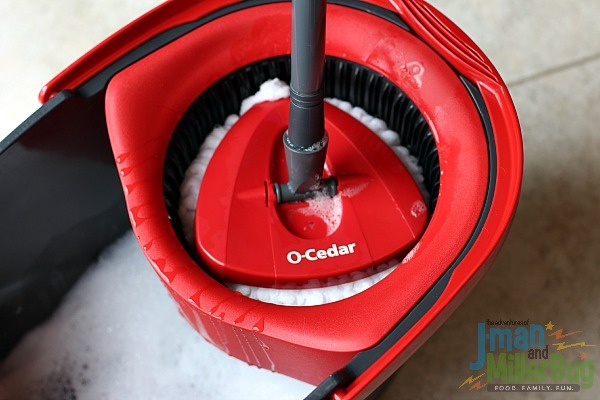 I’m sure it is but that is about to change because now I’m going to tell you how the O-Cedar EasyWring Spin Mop & Bucket System changes all those things about mopping that have driven me crazy in the past. 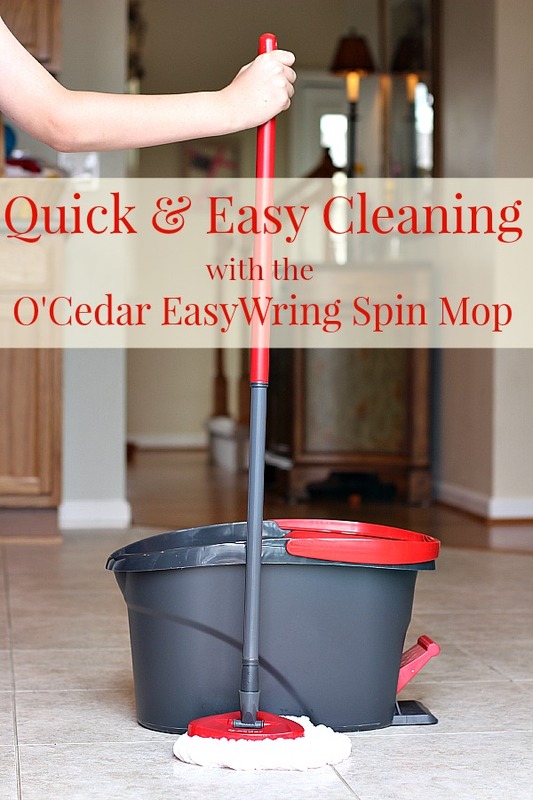 Let’s start with the bucket system that comes with the O-Cedar EasyWring Spin Mop. 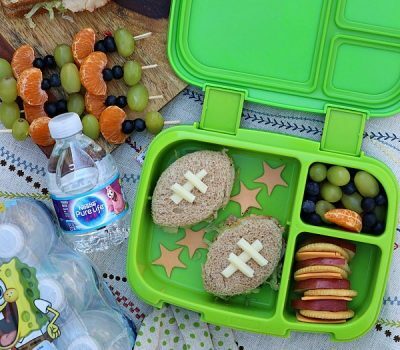 It has two separate compartments…one on the bottom for your water and cleaning liquid and a spin system on the top. With this addition, mopping as you know it will change because there is no longer any need to wring out mops by hand or even use the twist handle to try to get the water out. Instead, once your mop is wet, you simply place it in the wringing bucket, step on the pedal located on the side of the bucket and watch in amazement as the extra water AND the dirt on your mop are squeezed away! 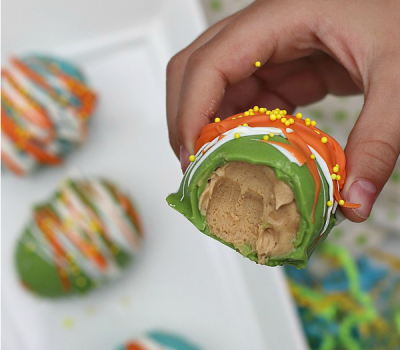 And if you’re worried about splatter from this cool process? Don’t! Because the built in splash guard ensures that your dirt and water go exactly where you want them to…into the bottom of the bucket! Pretty cool, right? But that’s just step one! Because once you’ve got your mop squeezed out and ready for use with just the right amount of water (which let me mention takes about 3 seconds flat) it’s time to get mopping! And that’s where the design of the O-Cedar EasyWring Spin Mop really proves its worth. With what I would call a triangular design, the head of the mop easily fits into corners! Yes that’s right – no more slinging of the mop itself trying to get into the spaces where it really doesn’t fit (you know you’ve done it too!). Instead you get a perfect clean in every single corner. But wait! In addition to going into corners, this little beauty also goes UNDER furniture as well! Seeing as how I’ll likely never be the get down on my hands and knees and scrub under the furniture type of girl, this is life changing for me! I’ve seen the looks that the dust bunnies under my living room chest get and now I’ll enjoy the looks of shock that their absence is sure to cause! You see, that’s the beauty of this mop. Because wherever you need it to clean, whenever you need it done, it’s a mop that delivers on it’s promise to make cleaning easy in a way that you never imagined it could be! Now, I don’t feel the need to put off keeping my floors clean. But if it just so happens that I do get a surprise call and realize that my floors need a quick makeover, I’ll smile, do a little happy dance and stay calm knowing that I can fool even my most seasoned cleaning guest into thinking that I really am a domestic queen with the help of my O-Cedar EasyWring Spin Mop! 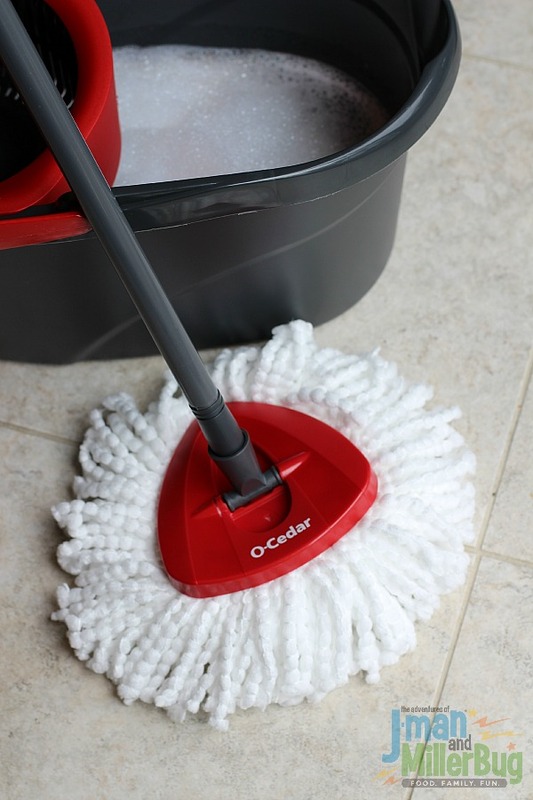 The O-Cedar EasyWring Spin Mop & Bucket System has a built in wringer activated by a high quality foot pedal allowing you to control the level of moisture. Cleaning your floors has never been this much fun. 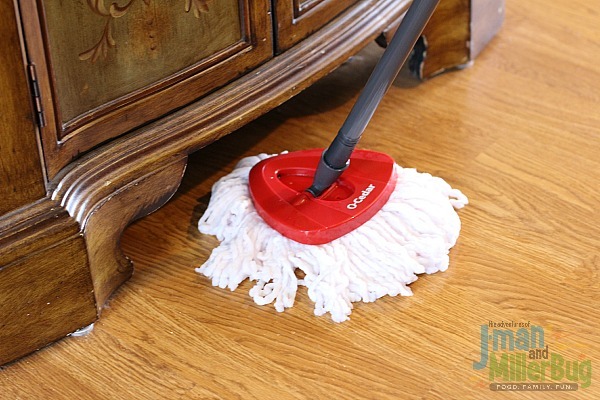 The built in splash guard prevents overspray onto surrounding floors and walls, and the triangular mop head reaches into corners with deep cleaning microfiber strands to attract dirt and grime. The head is washable, and refills are also available. The telescoping handle extends to 48 inches and can collapse for easy storage. EasyWring Spin Mop & Bucket System is proudly assembled in the USA. 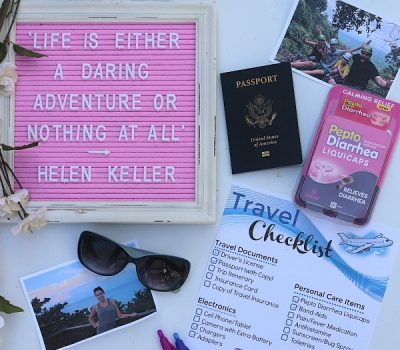 Visit ocedar.com to learn more, or visit them on Facebook. 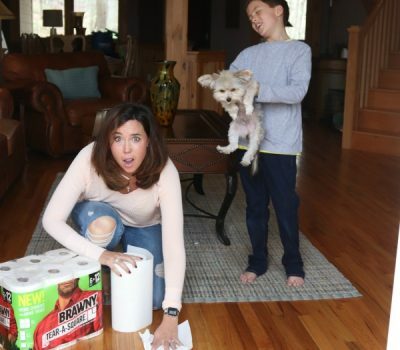 Oh my goodness, I am no cleaning diva either LOL–but this looks easy to use for sure and with a new puppy my floors are ALWAYS in need of attention. Thanks for letting me know about the easy mop and bucket system! I’m not even going to tell you how I clean my floors. 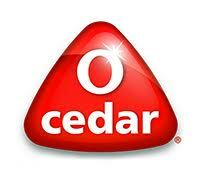 I’ve always liked O-Cedar products, and this system looks a lot better than what I am working with now. DC recently posted..50% Off Great Family Games at the SimplyFun Summer Sizzler Sale! Nothing cleans like a spin mop. I’ve tried so many new ones that ‘make it easy’ but the quality of clean just isn’t there. 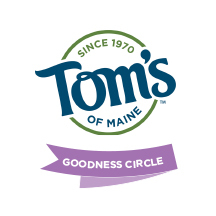 I love this brand, love! I love the design of this! I need to mop but nothing turns me off more than a crappy mophead. I can get on board with this! Love that the head is washable! I have their spray mop and that has been my fave feature. I haven’t owned a wring style mop for a while, but this design looks great. My kitchen floor gets gross so fast. This would really help. This is so great! 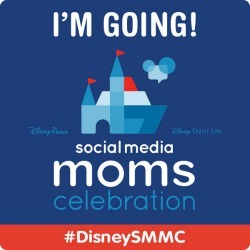 I still (for shame) use a sponge mop… and it makes a mess! I really like the way the mop head is angled! And I do believe I’d find the bucket much easier to use than a pail or something else round. I agree, that is such a great feature. I bet it cleans more with it styled that way! So now i need something like this! I am def not a cleaning diva..This makes cleaning look super easy! 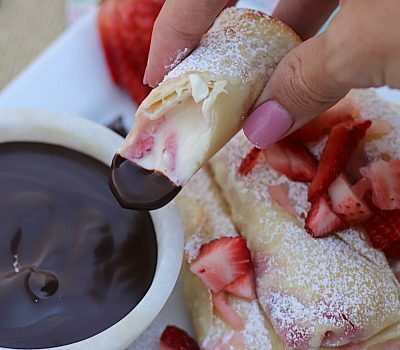 OMG – I need this is my life! 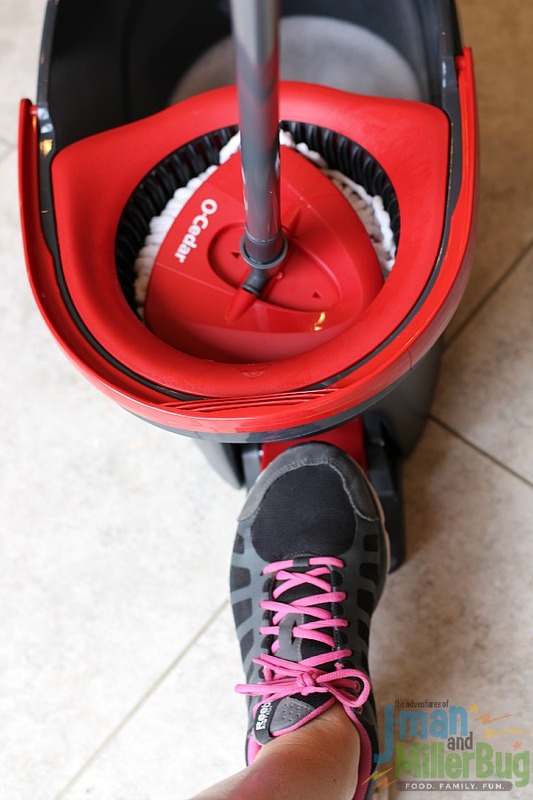 I abhor mopping because it’s such a hassle, but this makes it look so quick and simple – love it! I like that it really gets the dirt out of the mop head. That’s super important for a good clean floor. I am the worst at houseold chores. I do them, but really hate chores. I have started to pawn off chores on my kiddos. 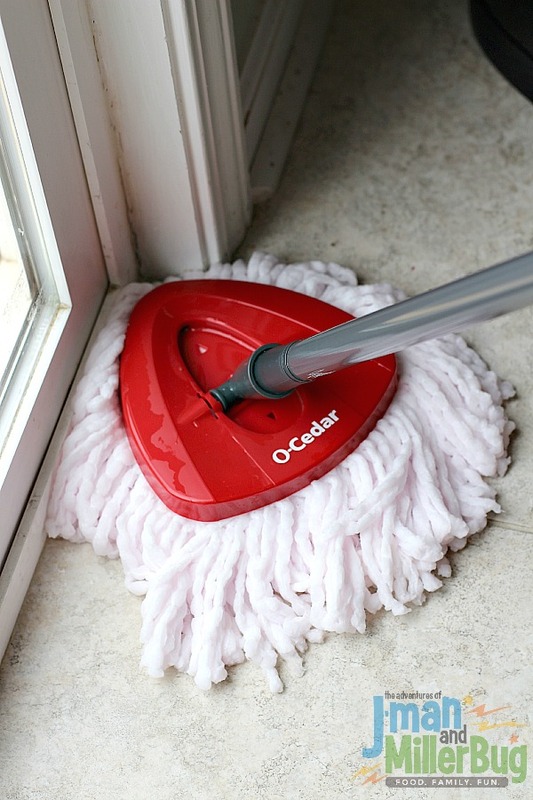 They can definitely clean floors with this o cedar mop. Looks like a great mop. With 5 kids I am constantly sweeping and moping. 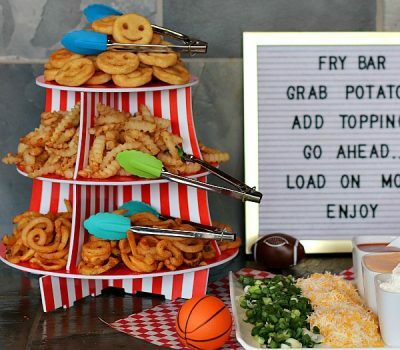 This looks nice and easy to use!